Here is where you can rent a ski boat, waverunner, or pontoon boat on Lake LBJ. Lake LBJ is great for skiing/boarding, cruising (huge beautiful homes on the water), fishing, or just anchoring and swimming or relaxing. So go rent a boat from the below listed Lake LBJ boat rentals and get out on the water! 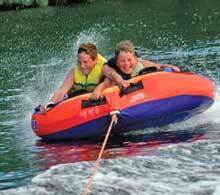 Splash Boat Rentals offers full service boat rentals to Lake LBJ, Inks Lake, Lake Buchanan, and Lake Marble Falls. 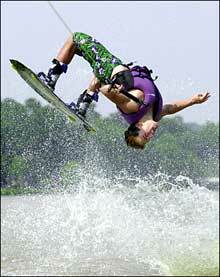 They will deliver, launch, and pick up the rental at your home, vacation rental, or other location on the lake. Stop by their Kingsland location to view one of the newest and largest selection of boats including ski boats with wakeboard towers, pontoon boats, and jet skis. They also have water toys including tubes, wakeboards and skis. Click on the Splash Boat Rentals link to visit the website and reserve a boat.